The Harrogate hotels listed below are either in the town or we have given a rough guide as to how far they are from Harrogate. We hope you enjoy your stay and find your ideal accommodation. After a 12-month, £5.7 million refurbishment, we are delighted that the Kimberley Hotel is now fully open. The Kimberley is a 93 bedroom classic, yet contemporary hotel with beautifully appointed bedrooms, all the up to date facilities expected in a luxury hotel and a stylish new bistro The Terrace. The hotel offers modern luxury and traditional service in one of the UK's most impressive towns. Unique among most Harrogate hotels, the hotel is independently owned and run and with that comes an individual character and flexibility that has guests returning again and again. Station: HARROGATE. 0.5miles. Travelling by car: follow signs for Town Centre and Conference Centre. Hotel is in Kings Road approximately 150 yards north past the conference centre. Station: HARROGATE. 0.5miles. Exit A1 at Junction 47 to Harrogate then follow A661 for Harrogate town centre into West Park one way system. After 2nd pedestrian crossing turn left down Montpelier Hill. Hotel is at bottom. Station: HARROGATE. 250metres. From A59 to Harrogate, follow the Town Centre signs (one way system). 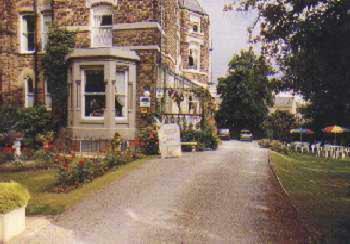 The hotel is on the right opposite the gardens. Station: HARROGATE. 0.5miles. By train - the hotel is about ¾ mile from Harrogate Station, a few minutes by taxi. On foot, turn left out of the station into Station Parade. Take the first left across the railway, at the roundabout bear right, last exit, ahead into North Park Rd. Continue ahead until you reach Park Parade, turn right and the hotel is on your right. Station: HARROGATE. 0.5miles. By car from South take M1 North to A1M, take Wetherby exit and follow A661 to Harrogate. From North take A1 South to York and follow A59 to Harrogate. The hotel is adjacent to the Harrogate International Centre (signposted). Station: HARROGATE. 0.5miles. From A1 exit at the junction signposted Ripon A61, on reaching Harrogate follow signs for the International Centre, the hotel is next door. Station: HARROGATE. 800metres. Follow signs for Harrogate centre, the Travelodge is located behind the Royal Baths assembly rooms, just off Parliament Street. Accessible by vehicle off the ginnel.Please note: check in is from 3pm onwards. Station: HARROGATE. 1kilometre. The bus station and train station are next to each other on Station Parade. Cross the pedestrian crossing in front of the train station and turn left, walk along and turn right down Albert Street, you will walk down the side of a department store. Walk to the end of the road and the last building on the left is where the hotel is. Turn left onto Prospect Place and you will be in front of the hotel. Harrogate Serviced Apartments offer 4-star luxury apartments with fully equipped kitchens, just 5 minutes' walk from historic Harrogate's town centre and Rail Station. Ash Grove is a small, family-run, Victorian property located just a couple of minutes' walk from Harrogate town centre. It offers a landscaped terrace and free Wi-Fi. The bedrooms are individually and tastefully decorated. Right in the heart of Harrogate, this elegant 18th-century coach house offers free private parking and fabulous en suite rooms overlooking the open parkland of The Stray. Located in the heart of the historic spa town of Harrogate, this elegant, boutique townhouse is just a few minute's walk from Harrogate's centre with its numerous restaurants and shops. This elegant restored Victorian guest house offers bright rooms with iPod docks, just 10 minutes' walk from the centre of Harrogate. Hearty, full English breakfasts are cooked from local ingredients. A short walk from the centre of Harrogate and with free on-site car parking, the Bijou has stylish, boutique en suite rooms with LCD flat-screen TVs and luxury toiletries. The Yorkshire Hotel is situated in Harrogate, opposite Betty's Tea Rooms. It is a 3-minute walk from Harrogate Train Station and the HIC. Leeds Bradford Airport is a 20-minute drive away. In central Harrogate, these 5-star luxury apartments have king-size beds, free Wi-Fi, free on-site parking, plasma-screen TVs and fully equipped kitchens. 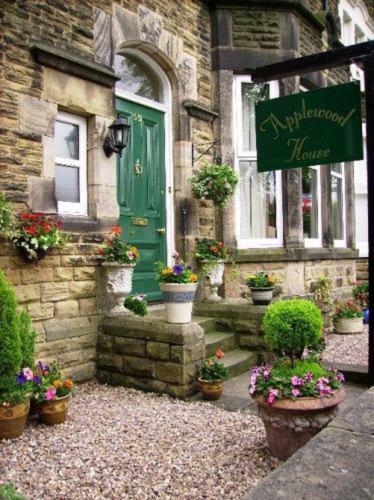 Situated in a quiet residential street, applewood house is located on the prestigious south side of harrogate. With free Wi-Fi and professional service, The Camberley is in the heart of Harrogate, opposite the International Conference Centre. It is 5 minutes' walk from over 100 restaurants. Camberley has a car park offering free parking for about 8 cars. Privately owned and run, this bed and breakfast is situated directly opposite the International Centre, Conference Centre and Exhibition Centre. Housed in a beautifully converted Victorian home in the heart of Harrogate, each of these stylish and contemporary apartments offers spacious accommodation with free Wi-Fi and free parking. Set in over 800 acres of glorious, rolling countryside, this charming and elegant country house hotel offers panoramic views, luxurious accommodation, free Wi-Fi and a superb restaurant. Set in 12 acres of award-winning gardens, this splendid 19th-century hotel is situated in Harrogate. It is next to the Harrogate International Centre, and 10 minutes' walk from Betty's Tea Rooms. 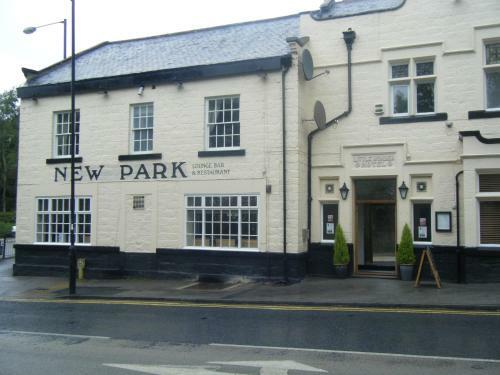 Just a mile from Harrogate's historic centre, New Park Hotel features an Indian restaurant, stylish cafe and modern rooms with free Wi-Fi. The Royal Pump Room Museum is a 15-minute walk away. A warm, friendly welcome awaits at Grants Hotel Harrogate, an award-winning, Victorian town house hotel. Grants Hotel is in the heart of the spa town of Harrogate. The 4-star Kimberley Hotel offers sumptuous rooms with a flat-screen TV and free designer toiletries. There is also a creative restaurant and a bistro. A country house in the middle of town, the Ruskin is rich in historic character and traditional charm, with carefully preserved original features and beautiful furnishings. 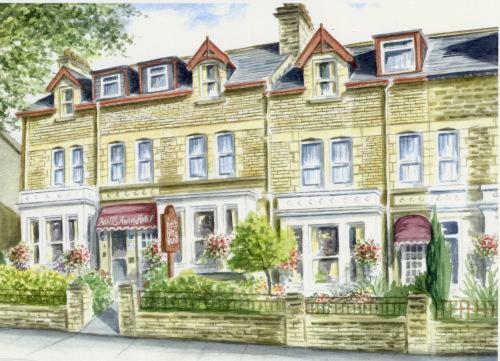 In central Harrogate, this independent AA 4-star hotel has a 2 AA Rosette restaurant. The friendly, welcoming Studley Hotel offers free Wi-Fi and free private parking. Opposite Harrogate International Conference Centre, Alvera Court is a friendly, comfortable Victorian town house offering free on-site car parking and free Wi-Fi. A 5-minute walk from Hornbeam Rail Station, close to Hornbeam Business Park, this Premier Inn hotel has free parking and an on-site Table Table restaurant. Harrogate town centre is 1.5 miles (2. In the heart of historical Harrogate, Holiday Inn Harrogate offers a modern fitness centre and free leisure passes. With wonderful views across the Yorkshire Dales, there is also an on-site restaurant. In the Montpellier quarter of Harrogate, this historic 4-star hotel with free parking is a few minutes' walk from the International Centre. It has an award-winning restaurant and a traditional pub. In central Harrogate, these stylish 5-star luxury apartments have 1, 2 or 3 bedrooms, individual designer bathrooms, a fully equipped modern kitchen and an open-plan living space. 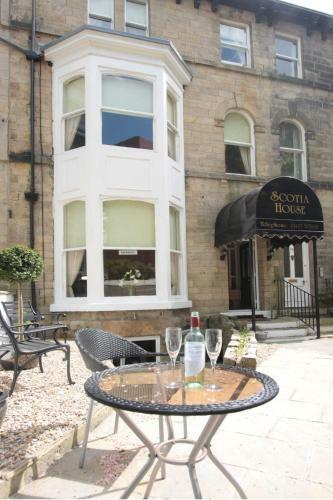 Well-placed just 0.5 miles from central Harrogate, Scotia House is directly opposite the Harrogate International Conference Centre. Bright rooms have free Wi-Fi and there is free parking. 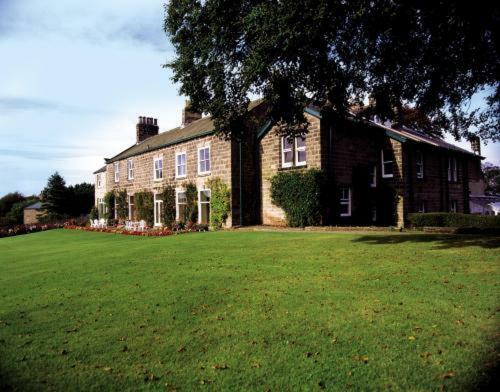 Close to the Harrogate International Centre and at the foot of Yorkshire Dales, the Best Western Dower House offers traditional hospitality with modern comforts and facilities. Harrogate Boutique Apartments offers luxury serviced apartments in central Harrogate with free parking on site. It is a few minutes' walk from the HIC conference centre and Harrogate town centre. Ideally located in a tree lined street, this family-run guest house is set in the heart of Harrogate, just a few minutes' walk from the conference and exhibition centre. In a Victorian terrace, The Welford offers locally sourced breakfasts and cosy rooms with free Wi-Fi. 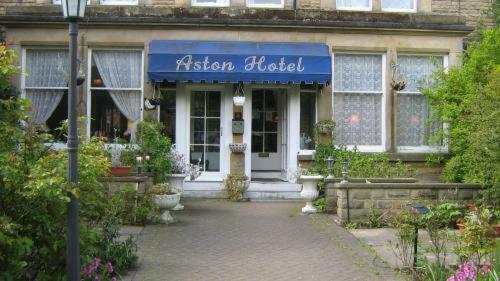 The hotel is situated in the heart of Harrogate, 5 minutes' walk from Harrogate Railway Station. Harrogate Elite Living apartments, located just a 2-minute walk from Harrogate town centre, offer comfortable self-catering accommodation with free Wi-Fi and parking. Set in over 5 acres of private gardens, The Old Swan was once the famous retreat of Agatha Christie. It offers modern rooms with en suite facilities, and free on-site parking. Less than 3 miles from elegant Harrogate, this excellent hotel has a restaurant with 2 AA Rosettes, and an 18-hole golf course that runs through the 18th-century parkland. This elegant, family-run hotel is located just 10 minutes' walk from Harrogate town centre. The hotel offers a warm welcome, friendly service, and a freshly cooked Yorkshire Breakfast. Set in an elegant Victorian house, the 4-star Fountains Guest Accommodation is just a 5-minute walk from Harrogate's historic centre. Fountains offers cooked breakfasts and traditional rooms with free Wi-Fi. 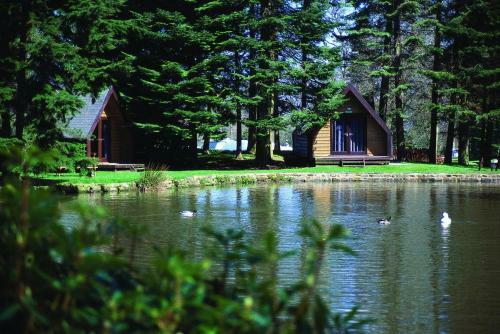 Rudding Park offers self-catering Chalet Lodges and Country Cottages within the beautiful North Yorkshire countryside with woodland, lake, and countryside views. An expansive, 18-hole course is also available on-site. This grand, Victorian hotel boasts private gardens, a gym, and classical decor. Its traditionally furnished rooms feature private bathrooms, while Harrogate's centre is 5 minutes' walk away. Comprised of 3 tastefully converted town houses, this comfortable, well-appointed bed and breakfast is situated in a tree-lined street in a charming area of Harrogate. 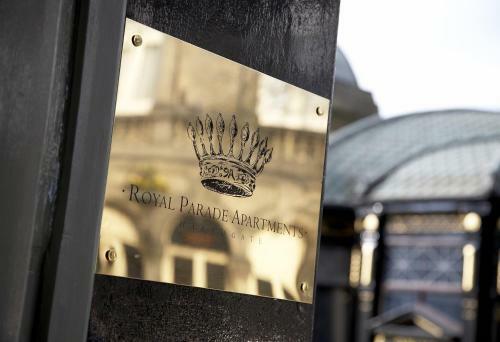 The Royal Apartments combine stunning interiors, featuring natural woods, with modern design and technology, to offer luxurious boutique accommodation in the heart of Harrogate, 3 minutes' from the Turkish Baths. 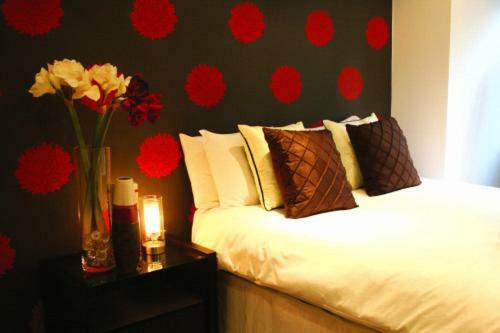 The Nightspace: Regent House Apartments offer self-catering accommodation in the heart of Harrogate town centre. 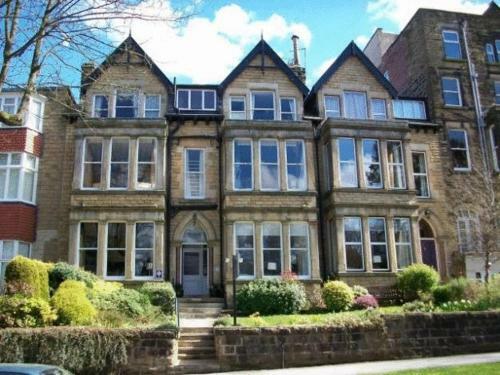 They are 5 minutes' walk from the International Conference Centre and Harrogate Rail Station. 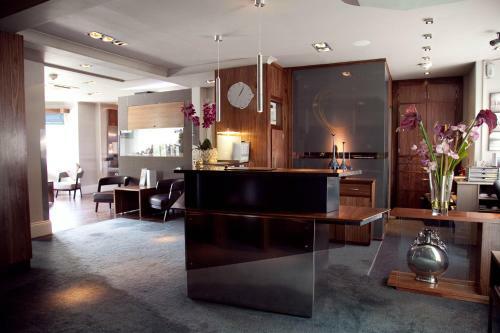 These luxury, modern apartments are situated within the heart of historic Harrogate. They offer luxurious furnishings including designer bathrooms, HD plasma TVs, and PlayStation 3s. With elegant, individually decorated rooms, Wynnstay House is situated in a quiet, tree-lined street in the historic spa town of Harrogate. Guests can enjoy an extensive, locally sourced breakfast menu. For hotels accommodation in other areas nearby see Bradford hotels & Leeds hotels.